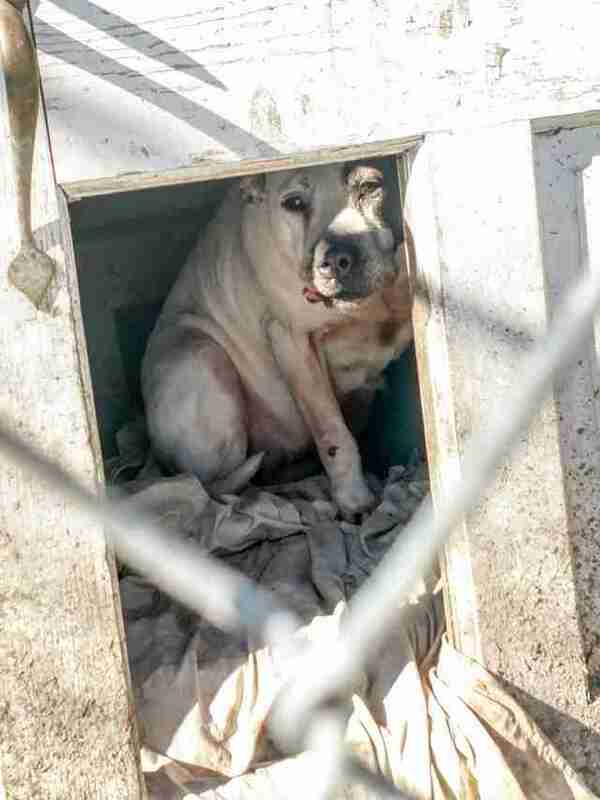 For eight years, a dog lived in a ramshackle doghouse in her family's yard — and then one day it seemed like things got even worse for her. The family was being evicted from their house, and Pamela was left behind. "Ever wonder what a dog with a broken heart looks like?" 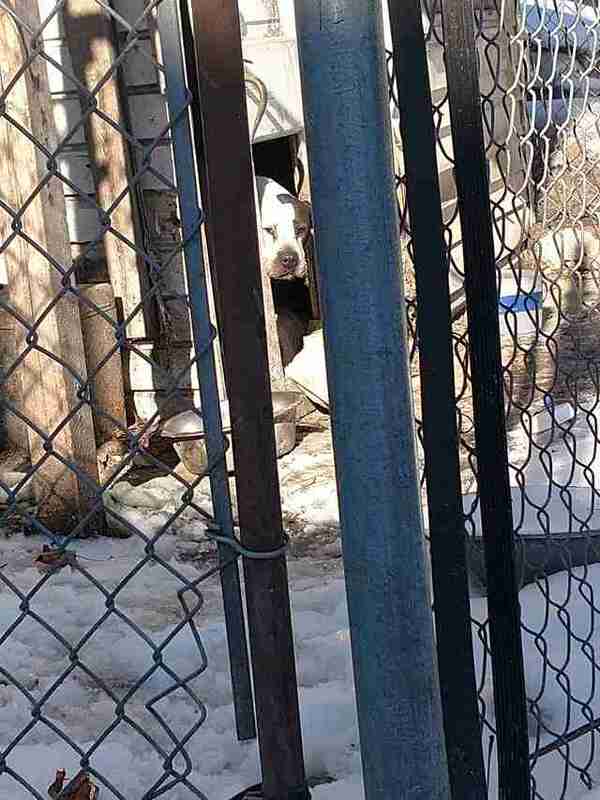 Janine Guido, founder of Speranza Animal Rescue in Mechanicsburg, Pennsylvania, wrote on the organization's Facebook page last week, posting a photo of Pamela peering out of the little house she was about to lose. "This is where she has lived. For eight long years ... it's all she has ever known." Guido had shown up because she'd been tipped off by a local realtor that the dog would be homeless. The man being evicted arrived shortly after and loaded Pamela into Guido's car. "He just shut the door and went back into the house to collect his belongings," Guido wrote. Pamela was obviously terrified about the new and sudden changes in her life. She was cowering in her crate, tucking her tail tightly under her, growling softly. "While she doesn't have physical wounds, hers are emotional," Guido wrote. "And those are the hardest ones to heal." 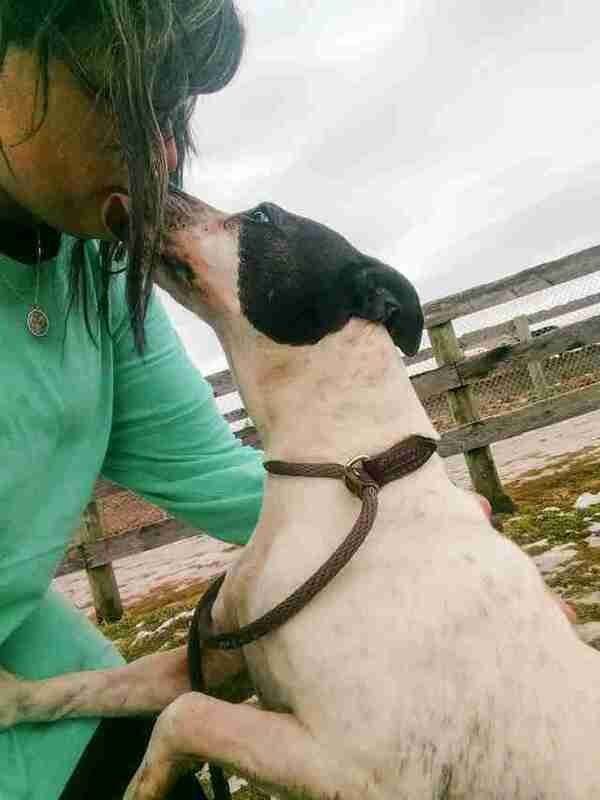 But Guido has helped even the most traumatized dogs overcome their pasts. So she knew that Pamela just need some love, comfort and patience. 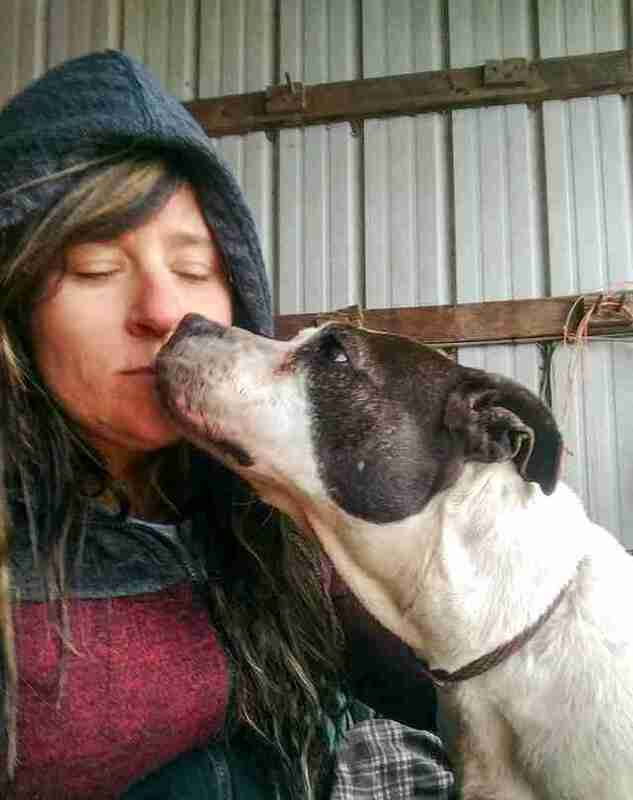 The dog also needed a trip to the vet — she had sores on her body from living outside in filth. "When I talk to her she just shakes in fear," Guido wrote. "Her whole body just trembles ... Just the look in her eye is breaking my heart." But mere days later, Pamela was actually kissing Guido's face. The dog who had lived outside her whole life began to realize that the sudden changes in her life were actually good. Pamela's kisses were a little tentative at first. But after a few nice walks with Guido, she's really come around. 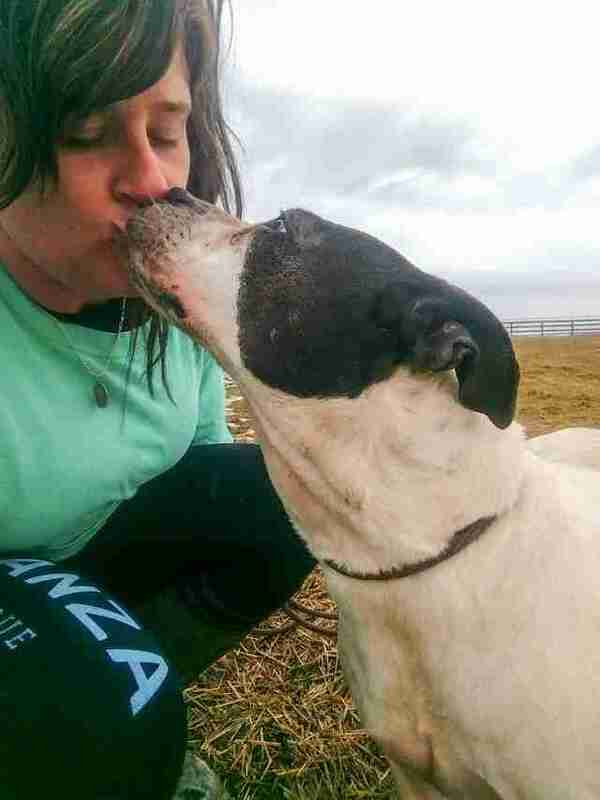 "This morning on our walk, she literally stuck right beside me, never moving more than a foot away," Guido wrote on Monday. "Every five or 10 steps she would look back at me, jump up and put her legs around my waist. 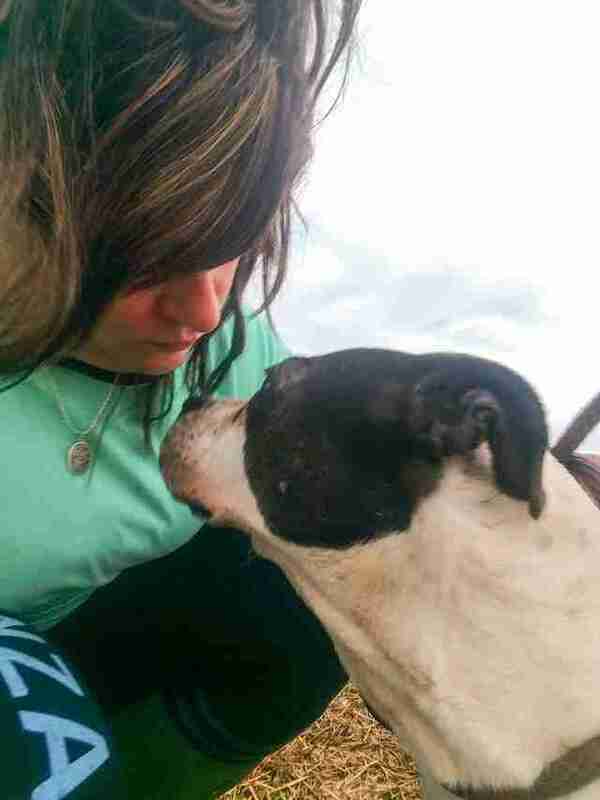 When I knelt down, she began kissing my face. Almost as if saying, 'I'm OK now.' These are the moments you live for." Even though Pamela has clearly made fast progress, no one wants to rush her. It's important for her to become fully comfortable in her own skin before any more big changes happen. "She will be fully vetted and hang with us 'til we get to know all her likes and dislikes," Guido told CreepyWorld. "But we're hoping she will be ready for a family in the near future."